The rich volcanic soils of the Western District have long been famed for their fertility, producing top-quality wines as well as a great variety of farmed and wild products. Vineyard, farm and wilderness are brought together in The Fat of the Land, a dining experience that will open your eyes and your palate to the beauty of this ancient landscape. 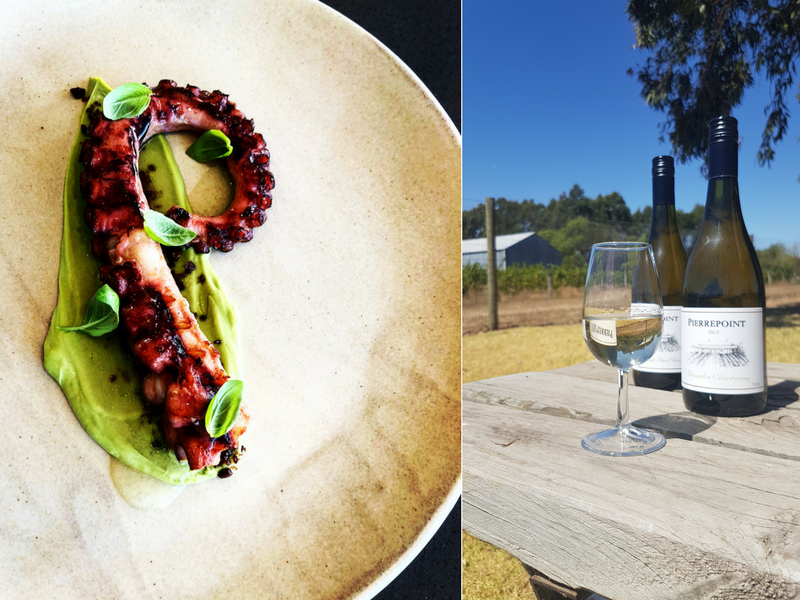 Pierrepoint Wines, multi-award-winning winery of the Henty Region, and Rococo Events, celebrated for their original and modern use of Australian ingredients, come together to bring you a deluxe dinner of five courses with paired wines. Focusing on the finest local Western Victorian produce, this elegant yet earthy experience brings the concept of terroir from the wine through to the food.